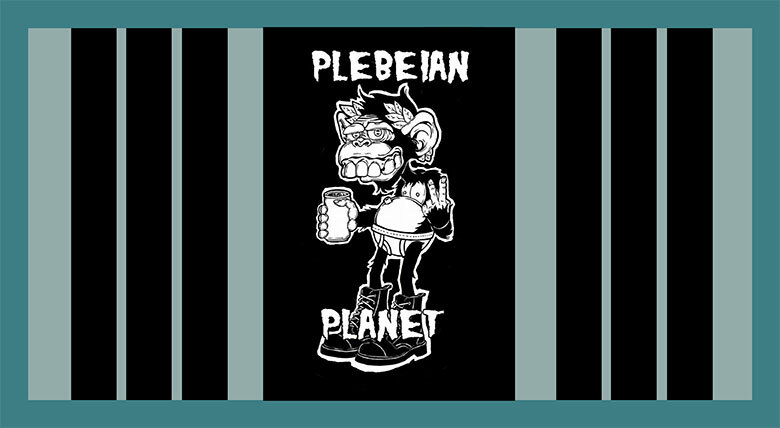 One of the most recent additions to the Yuma music scene is Plebian Planet, this group of sociopolitical punk rock-n-rollers have had a successful start as a band by being able to book shows with frequency in the short time that they have been together. Every one of their members has been in other Yuma bands but have never played together until now. Lead guitarist Jose De La Torre can really shred! His original style is classical/flamenco, which really gives the band an edge. De La Torre is versatile and can play heavy breakdowns as well as nice clean melodies, but at the end of the day Planet is still a punk rock band, so you’d better be ready for a mosh pit. Plebian Planet’s first album is expected to come out sometime this year. Until then, make sure to check out their Facebook page for updates. They recently played at The Alement in downtown Yuma, opening for Guttermouth, a couple of classic-punk-rockers from Huntington Beach, Cal. A heck of a show! The Mutts have been playing since 2013 and have become one of Yuma’s favorite bands. This four-piece leaves it all out on the stage every time they put on a show. Their sets are nonstop from first note to last – a continuous flow of rebel yells, explosive drumming and heavy distortion. Their sound and lyrics recall Black Flag, pioneers of the ‘80s punk Rock movement, whose message revolved around anti-authoritarian and nonconformist themes. Their first studio album The Working Mutts (2014) is available for free at workingmutts.bandcamp.com. Their new album will be available at their upcoming shows. Follow them on social media (Facebook, Instagram, and Twitter) to check out their merchandise. It’s rare to see a jazz band these days since so many young local musicians tend to lean towards reggae/ska or metal. The MSJQ bring something different to the Yuma scene, covering classic songs with a modern touch as well as original tunes. The MSJQ started out with a couple of guys and gals that knew each other from the AWC music program and have been playing together since 2013. They have played weddings and local jazz festivals, and they play regularly at the Main Squeeze. Their sound is mellow and precise, and their music creates a relaxed vibe. If you’re a fan of jazz or blues, do not miss out on their next show at the Main Squeeze in February. Make sure to like them on Facebook to get updates on their upcoming shows and a little taste of their sound. They have posted videos of their jam sessions as well as links to some of their original tunes. Bloodlines is a collection of thoughts from the perspective of lead vocalist Daniel Croutch and his struggles with addiction, depression and loss. “It’s about utilizing support from the ones closest to you and forming an inseparable bond,” said Croutch. For these guys, Samsara is more than just a metal band; it is a way to express the triumphs and struggles of everyday life. They were recently on tour all over the Southwest, and their final destination was Yuma, where they played alongside the Working Mutts and other local bands at the Maverick. Stealing Your Kill started back in 2009 in Tempe then migrated to Yuma in 2011. The band was founded by singer/guitarist Steve Dave and drummer Nick Bradley, and ever since they’ve been in Yuma they have been playing with Sal Pena on the bass. Their sound has a variety of influences from the ‘90s to the 2000s, so it’s hard to pinpoint their exact sound. “I would describe our sound as modern progressive rock from the early 2000s, such as the Mars Volta mixed with video game music, specifically Nintendo music from the 8-bit era including the Gameboy,” says Dave. Stealing Your Kill played an inauguration show in Downtown Mesa at a new venue in January and are booking more shows for the rest of the year. They are also trying to record again to release a full-length album or EP for 2017. Some of their tunes are available for free at stealingyourkill.bandcamp.com. Like their Facebook for more updates and upcoming local shows.